Linda Richardson, president of the Uptown Entertainment & Development Corp. The Uptown Theater is celebrating its 90th anniversary with a lighting ceremony on North Broad Street. 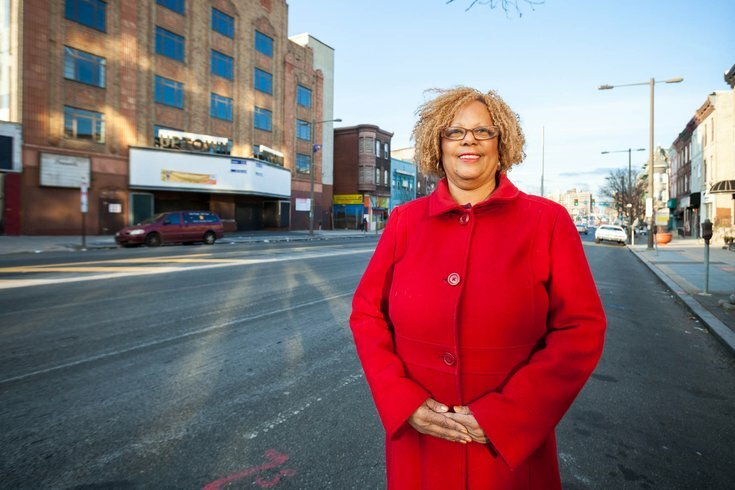 Advocates for the revitalization of the long-closed, iconic theater are planning an event to coincide with Black History Month to light up the original Uptown Theater marquee. The nonprofit that has been protecting the theater, the Uptown Entertainment & Development Corp., is calling it the #LightItUp campaign. The event will be held on Saturday, Feb. 16, from 6-7 p.m. at 2240 N. Broad St. It's billed as a night of storytelling from performers and fans of the Uptown. According to a recent announcement, the goal of the campaign is the eventual re-opening of the theater in fall 2020. For years, Uptown Entertainment & Development Corp. has been raising money to renovate the building in hopes of creating a space for live dinner theater, an art gallery, artist studio lofts, a black music museum, and a studio for WJYN 98.5. Billy Penn reported in August that it has taken $4 million and 15 years for the theater to get to where it is now. The roof, which had been dangerously close to collapsing, is fixed and building has electricity and plumbing. Now, it needs an additional $10 million to finish the job. The #LightItUp campaign is aiming to closer to that goal with a donation drive taking place now through April 30. Today, you can go on a tour of the theater for $10 per person to learn about its rich history and donate to the effort.